It’s that time of year again, December!! Which means two things, Christmas and Family. But that also means that we need a few christmas recipes to whip out of the bag too. Nothing that comes with too much stress, and will feed a full table. 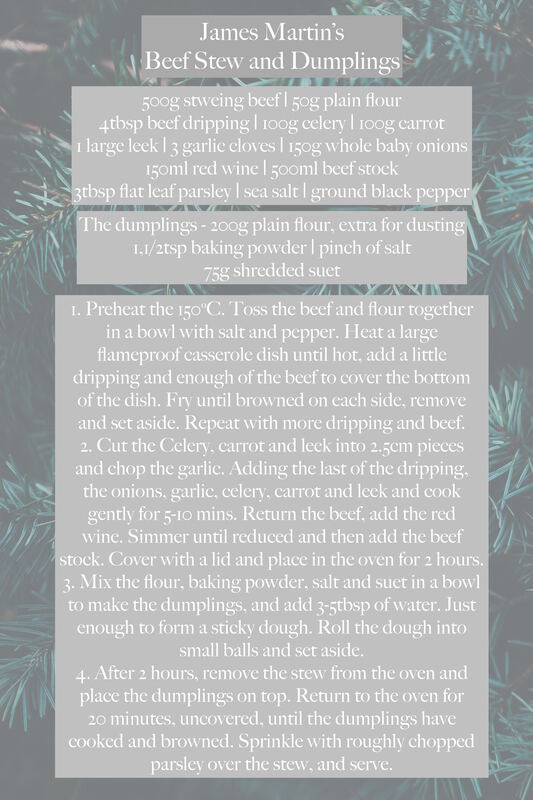 So we thought we would share with you two of our favourite christmas recipes that suit all the family. This one is always a winner, not so much for Christmas day but in the run up to Christmas. Party after party after party, it can get quite tricky to think of different dishes. The stew gives the wow factor every time, yet is so simple and effortless. It could technically be used at any time of year, but is nice and warming for the run up to Christmas. It also looks great in individual ramekin dishes so it’s posher for a dinner party. A christmas dinner party to be specific. Just add some roasty’s, carrots and tenderstem broccoli as sides. If you feel like being creative, toss the carrots in orange marmalade and add chopped up crispy bacon to them. Keep the broccoli simple with just a little butter and a scatter a few sliced almonds over them. Easy peasy. I don’t know about you, but I always end up feeling completely stuffed after the main course. So much so that I couldn’t possibly fit in a pudding. 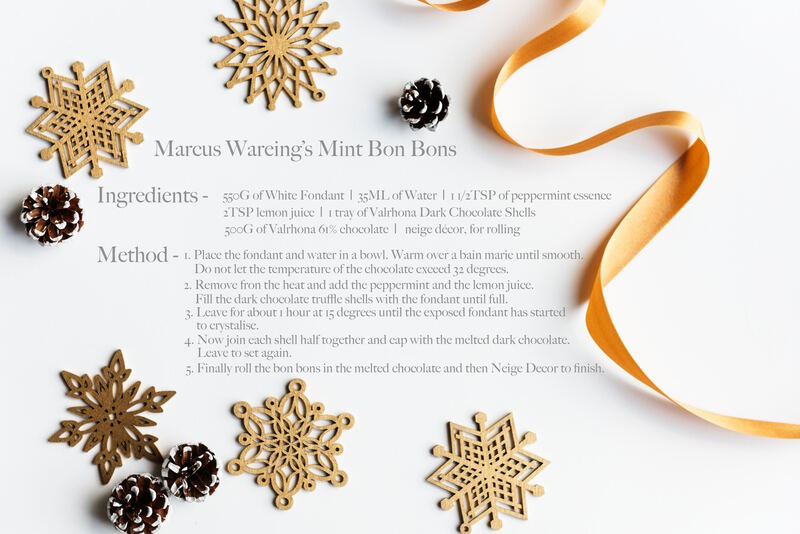 These mint bon bon’s by the wonderful chef that is Marcus Wareing are just perfect for cleansing the pallet and settling that sweet tooth. You could make a load more than you need so that you have them for all of your Christmas Dinner parties. Or you could take the left overs as little Christmas gifts when you get invited to someone else’s for dinner. Not sure you will have enough space at Christmas to sit all of the family? Have a look at our Clever Tables Clearance page. All of them still available for pre christmas delivery. Next Next post: Have you been to our London Showroom?